Maybe your pet has undergone a complex or delicate veterinary treatment procedure and needs recuperation, it will probably need professional vet rehabilitation for best results. Pets need to regain their strength and form back after a session of inactivity due to poor health, vet treatment, weather conditions or other complication. As a pet owner, it is undeniable that you would want your pet to be in the best form of health always. Pet rehabilitation is important for your pet after spells of being inactive. The procedures involved in rehabilitation are best carried out by professional vets trained in pet rehabilitation. Exercises will help improve bone and joint movement, blood circulation, and fitness. A pet that has been indoor or inactive for a long time will need such care to keep their bodies close to its optimal state. For pets just healing from broken bones/joints or some other health complication, walks uphill, walks through the grass which helps them lift their legs and treadmills can be used to offer daily exercise. Swimming exercises are also available and are important in helping your pet regain proper muscle tension. Over-weight pets easily develop issues in health and it is up to you to get them back to shape. Rehabilitation therapy here will involve offering meal types that are low in fat and cholesterol. The aim here is to help your pet to lose weight without starving it. A number of Veterinary Hospital League City offer wellness programs that help keep your pet fit and in good health. A healthy pet is a happy pet and as a pet owner, you will enjoy many more years with your furry friend if it is healthy. A carefully-planned feeding schedule is very crucial for pets that have just gone through special pet care therapy. It might not be entirely safe to feed your pet any type of pet food until they have adequately recovered. Safarivet specializes in providing such customized services. Our Veterinary Wellness Plans Texas also covers this treatment which is quite effective in getting your pet back in shape. 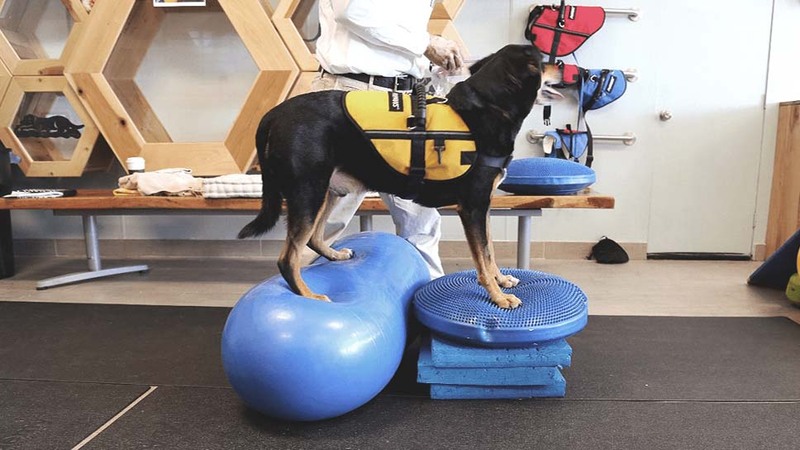 This rehabilitation plan involves the use of electromagnetic impulses to stimulate your pet’s tissues and joints to promote healthy recovery after surgical procedures. Your pet deserves all the care, love it can get especially after a serious treatment.